My first professional video work, a very long time ago, was filming motorsports for television. Anyone that has ever tried to film motor racing or rallying will know that it’s challenging. Trying to film and track a car approaching you at 100mph is tough. 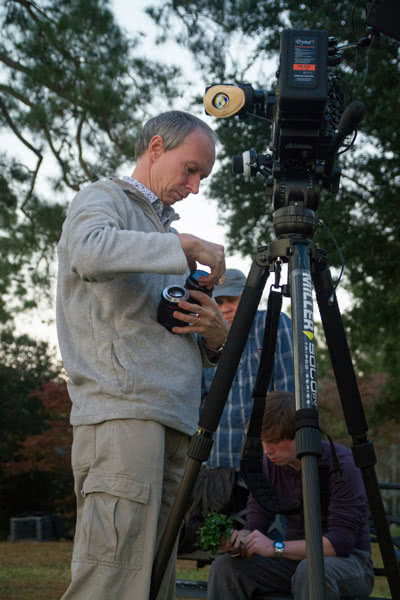 As a result, something I learnt very early on in my career was the importance of a decent tripod. Back then (late 1980’s), this normally meant only a big and heavy tripod would give the stability needed to prevent wobble or vibration when using a long lens to film a distant race car. It also meant a good fluid head, as only a decent fluid head would give you the ability to smoothly change pan speed as the car accelerates or slows down for a corner. Another thing I discovered at this early stage in my career is that a good tripod is not a cheap item. I tried using lower cost tripods, often from companies known for their photography tripods, but was never able to get the level of stability and control that comes from a tripod designed for film and video. 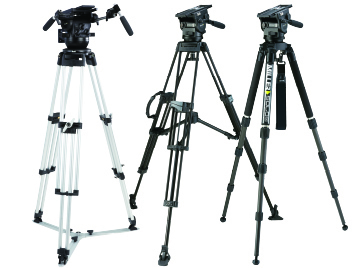 I spent a lot of money on many low-cost tripods trying to find one I was happy with. In the end, after a year or so of frustration with cheaper tripods, I took the plunge and purchased a proper broadcast tripod with three stage legs and a fluid head. 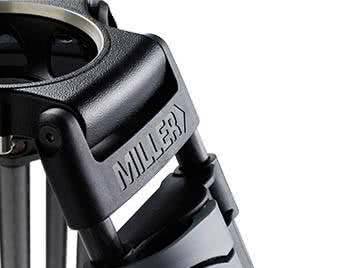 Five years ago, I was introduced to the Miller Tripod range. 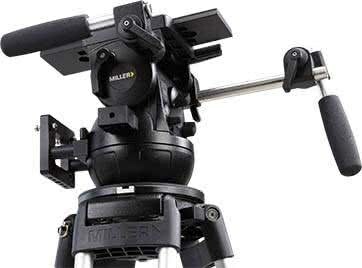 When I saw the Miller Tripods Solo legs for the first time I was a little skeptical as to whether they would be stiff enough for many things that I do. But, the compact size, low weight and amazing height range was extremely attractive. It appeared to be a good fit for me as a tripod to travel with. So, I decided to try it out. I got a set of Solo legs with a Compass 15 head. The first surprise turned out to be the Compass head. It is silky smooth, and the drag is extremely well weighted. There was far less stiction at the start of any moves compared to my previous tripod head. Gentle pressure on the end of the pan bar would start a buttery smooth pan without a sudden start or jump. The Solo legs have turned out to be more than I had expected them to be. Surprisingly compact, when reduced to their minimum length, they are small enough to fit in a standard suitcase – perfect for travel. Releasing the leg spread locks allows the tripod to go extremely low. But at the same time the legs extend well over head height. Most of my first impression concerns about stiffness were unjustified. 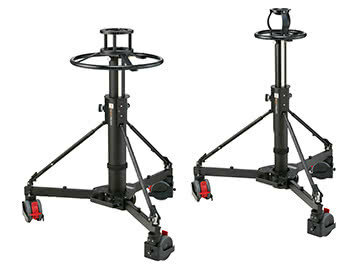 The Solo legs are stable, considering their lightness, but won’t necessarily replace a heavyweight multi-section tripod when you really need to be rock solid. They do have a little more twist than you would find in tripods two or three times the weight, nonetheless they work really well even with longer lenses –. using them to shoot airshows with long lenses without any problems. I’m writing this article in Oslo airport while I wait for a flight home after spending a week in the arctic filming the Northern Lights. 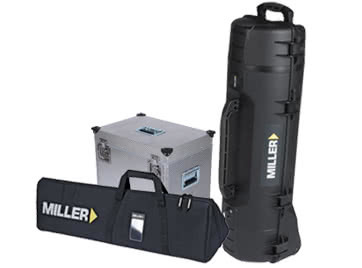 My Miller Solo is packed away in a suitcase being bounced around the airport by the baggage handlers. 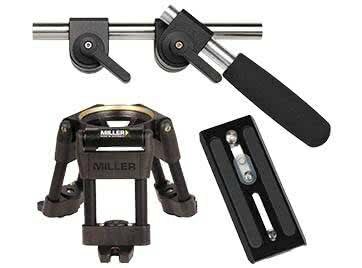 I’ve flown with my Miller Tripods Solo and Compass over 100 times in the five years I’ve had it. It’s been all over Asia and seen many tropical downpours. 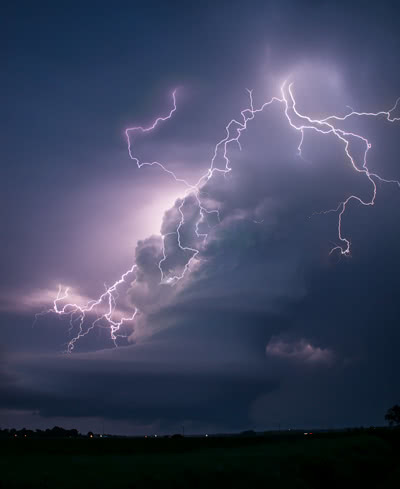 I’ve spent weeks and weeks crisscrossing the USA with it, chasing storms and tornadoes. Throwing it (literally) into the backs of cars and vans when we have had to run away from the storms. I’ve taken it into deserts to shoot off road “dune bashing,” where it’s been covered in fine sand and grit. At the more sedate end of the scale, I’ve also used it to shoot drama, on may occasions supporting a fully loaded Sony F55. It really has been my go-anywhere, do anything tripod. This trip is the latest of many north of the Arctic Circle to shoot the northern lights. 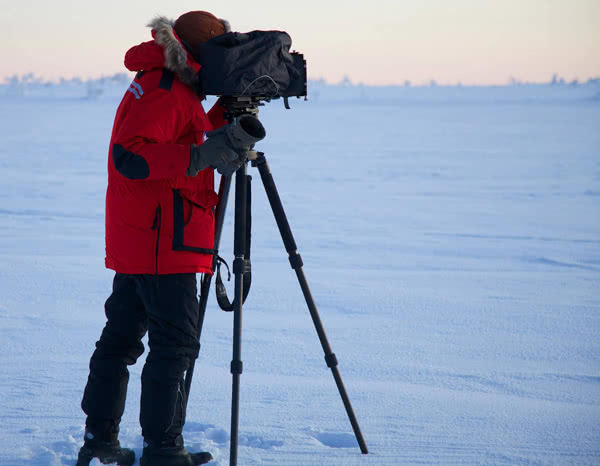 Last week it was -29c and the tripod was outside for the entire week. It never missed a beat. It’s the only tripod that I have where the levelling bubble still works at those kinds of conditions. Even in these really low temperatures the head is still silky smooth, and that’s after five years of use and abuse. The only maintenance I’ve performed on the Compass over the years was to wipe off any sand or grit with a soft brush, hose off any salt residue after filming waves breaking over sea walls and the occasional clean with a damp cloth. Despite all my abuse, the Compass head is as smooth today as the day I first used it, and the Solo legs are as solid as they were on day one. If you travel or need a tripod that’s a little lighter or more compact than most, then I urge you to give the Solo legs a try. If you want a silky-smooth head, take a look at the Miller Compass range. But, whatever you do when you buy a tripod, buy a good one, it’s worth spending that little bit extra to buy something that will last.